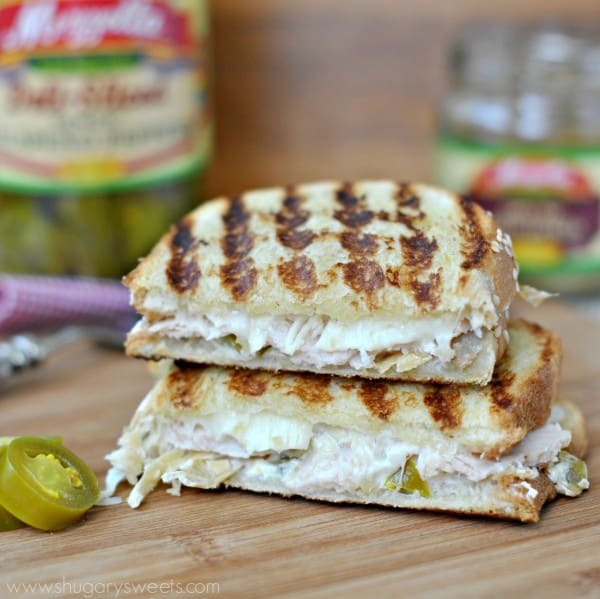 Dinner got easier with this Chicken Artichoke Jalapeno Panini. 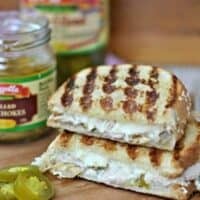 Ready in minutes, this recipe uses your favorite Mezzetta products to create the ultimate sandwich! One of my favorite snacks is Artichoke Jalapeno Dip. 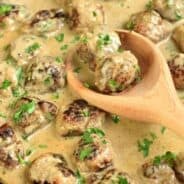 Have you tried this yet? It’s awesome. And making the dip with Mezzetta products is a great decision. I love keeping jars of artichokes and jalapenos on hand. For dips. And now for dinner too! 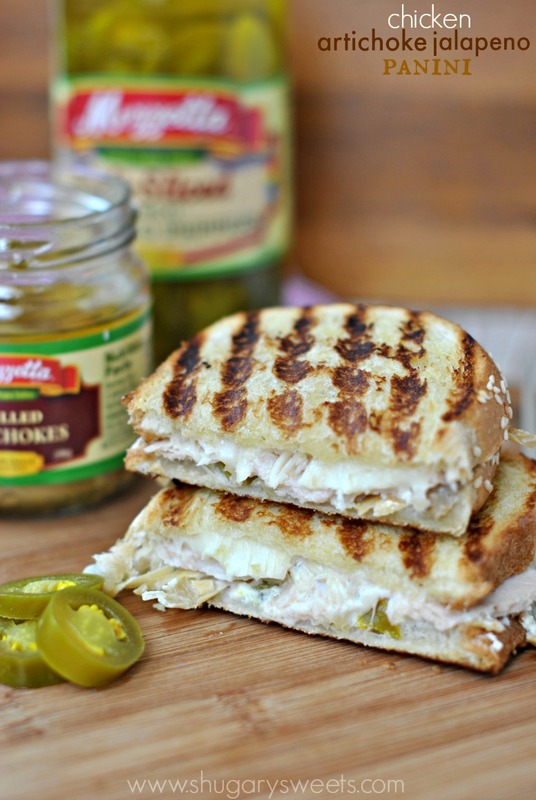 Did you know Mezzetta is having a sandwich contest? It’s aptly named, “MAKE THAT SANDWICH.” and the grand prize is $25,000. Umm, that’s a prize that I would like to win. 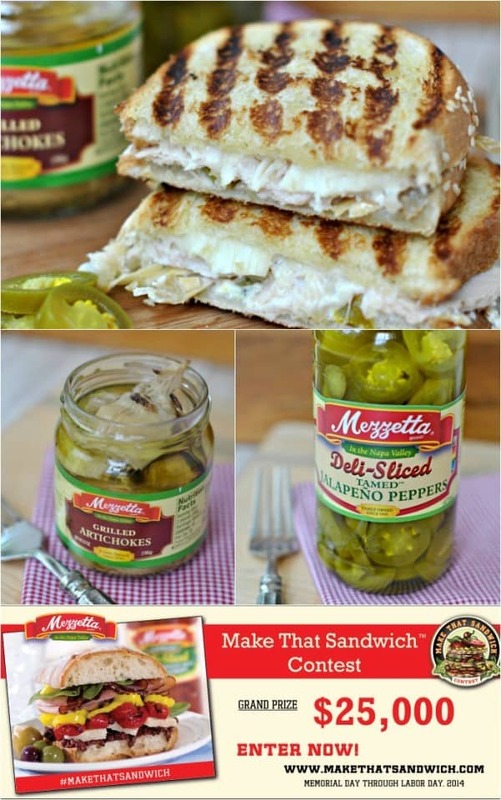 So grab some of your favorite Mezzetta products, their available at your local grocery stores, and get creative!!! You’ll need to include at least two different Mezzetta products in your recipe, so check out their line of olives and stuffed olives, spreads, vegetables and much more. Get all the contest details here. And if you win, you better come back and let me know!! So exciting!! For my sandwich I used a jar of Mezzetta Grilled Artichokes and a jar of Mezzetta Jalapenos. 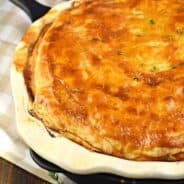 Using a combination of mozzarella cheese, cream cheese and parmesan cheese it had the same delicious taste as my favorite dip. Because this was our dinner, I added some thick sliced deli chicken to give this sandwich a hearty boost of protein. 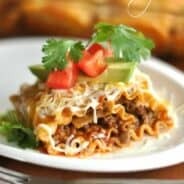 Cook this up like you would a grilled cheese, using a griddle or panini press. Eat hot and enjoy! What will you put on your favorite sandwich? In a small bowl, combine cream cheese with diced jalapenos and diced artichokes. Set aside. Heat griddle over medium high heat. Butter one side of each slice of bread. Place two slices of bread, butter side down on griddle. Top with cream cheese mixture, chicken breasts, parmesan cheese and mozzarella. Place second slice of bread, butter side up. Heat until cheese begins to melt, and bread begins to brown. Flip and heat on other side.